It’s time for a midweek giveaway!! 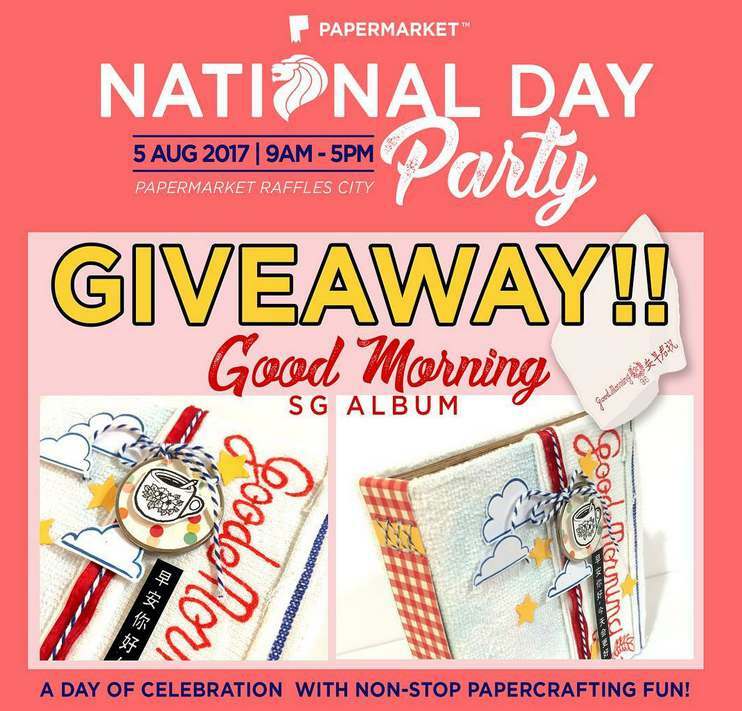 As we gear up for National Day in August, we’re giving away TWO seats to this Good Morning SG Album workshop held on our National Day Party on 5 August! Simply follow the steps below and you may just be the winner! 2. Tag a friend & leave a comment. One tag per comment please! 3. Repost this image on your Instagram feed. Tag @papermarketsg and #pmktndp (Make sure that your profile is public!) Contest is open to all residing in Singapore only. Contest ends 19 July 2017! Find out more at Paper Market.